Happy International Women’s Day, Eve! 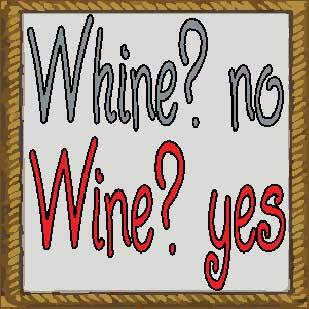 Who is a lady that never whines? You know her because it’s highly likely you are her? You’re TOO busy for anyone or anything. You get invites to things and always say “maybe” when we all know what “maybe” means is in fact, “no”. You sit at a desk, all day long, slaving away on teleconferences and ridiculous power points. Ah yes, and just when you’re about to walk out, the boss comes in to pile on some new project or some email comes in telling you someone needs something, like, now. People come to you because you’re really good at what you do but you don’t know when to say NO. The cell phones (both work and home) ring within seconds of each other. Your significant other is calling about house stuff and your kid (or pets) daycare needs you to fill out paperwork. All the while you’re multi-tasking on instant messenger and answering emails. By the time you’re finished dealing with everyone and everything, lunch has passed and you’re long overdue for a trip to “the ladies”. All you can think about in your head (over and over) is what you haven’t done and what you ought to be doing…and then that sinking feeling hits you. Who has time anymore for anything? The answer is simple. We do. You do. Make the time. It’s okay, friend. I get it. You’re superwoman. And you’ve oversubscribed yourself. We’ve all been there. Busyness is a disease. Todays 40 Ladies Who Never Whine are women who are taking time out of their day, TODAY, to pull themselves apart from the desk and iDevices for a few hours. They are choosing to connect, learn, laugh, and live. They are investing themselves in building friendships and support networks so they can have their “all”. How do you get in on the fun? Here is the 4 Step DIY (Do It Yourself) low-down on how you can have your own “Ladies Who Never Whine”. It begins with the recognition you deserve a break today. (And not, at McDonald’s. ) No, no. Today, from 3-5pm,no matter where you are, grab your favorite beverage and have yourself a glass. Spend those calories on something fantastic. This can be at home or out – just don’t swig it at the office. That might get you fired. Pick a date, set a time well in advance that’s easy and use a sign-up form to track responses. Friday afternoon seems to be work for me but in your industry or line of work, it may differ. Think about who you know that can bring a host of friend together. Pick some super connectors. Superconnectors love bringing people together. Have folks bring a friend and something to share (a beverage or some eats). Make it fun. Tell stories (everyone has one.) Don’t require an agenda or dress code. It’s okay PowerPoint will be there on Monday morning. Rinse and repeat. Practice takes perfect. Trust takes time. Build it. It doesn’t happen overnight but that’s kinda the point. The more you do it, the more people, the more wine. You get it…! Life’s a marathon and so is building your support network. 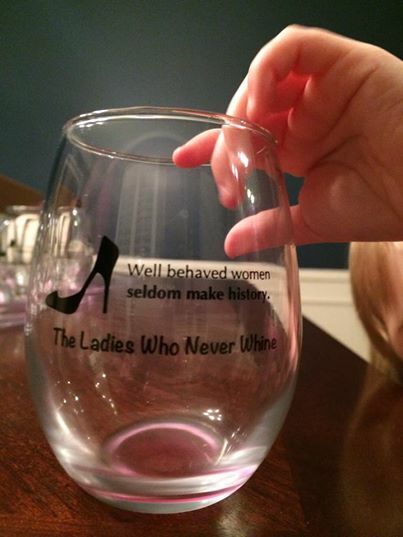 And remember my friend, well-behaved women seldom make history. You CAN fly higher than you think because you’re worth it. So what are you having at 3pm today? I am having wine. Here’s to you! Awesome idea! Everyone has these thoughts but never follow through because “life” as we know it is a whirlwind.